The concept of human security was forwarded against mainstream state-centric and militaristic conceptualization of security. Human security aims at safeguarding “vital core of all human lives from critical pervasive threats, in a way that is consistent with long-term human fulfillment.” The inclination of human security is 'protective' as opposed to 'assertive' inclination of national security. Human security recognizes that people and communities can be fatally threatened by events that are far beyond their control, i.e. natural disaster, financial crisis, violent conflict, epidemic, so on and so forth. Such human security threats can easily cut across political and geographical boundaries. There is increasing emergence of cross-border human security threats of greater propensity. Addressing them is becoming difficult for individual states or governments. In this context, human security is an area where global governance is most warranted. Global governance can be simply understood as “governing, without sovereign authority, relationships that transcend national frontier (or) doing internationally what governments do at home.” Therefore, global governance manifests increasing regulation in cross-border relations. 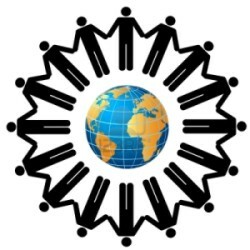 Particularly in relation to human security challenges of global nature, we can identify global governance as “efforts to bring more orderly and reliable responses to … issues that go beyond capacities of states to address individually.” Various rules, norms, institutions and mechanisms of global governance are functional over last two decades. Poverty Reduction Strategy Paper (PRSP) proposed by World Bank was used by many countries of global south as a general policy framework of economic and development policies. WTO is at the helm of a rule-based global trade regime. Millennium Development Goals (MDGs) are the common time-bound and quantified targets for human development that all UN member states adhere to. Such examples are numerous across different areas of human activity. But existence of global governance and more so its effectiveness in relation to human security has come under serious question recently. The two recent phenomena that make us point fingers are: the Libyan 'civil war' and the recent Tsunami in Japan. To me, both the cases are glaring manifestations of 'absent' or at least 'malfunctioning' global governance of human security. Both were 'classic' cases of human security threat. In case of the Libyan civil war, a violent conflict led to severe losses of life and property, internal displacement and refugee influx. The tsunami that hit northern Japan not only brought human security catastrophe itself but also spiraled into chain of disasters including a nuclear crisis that is already compared with the Chernobyl nuclear disaster of 1986. While Libya is a malgoverned country where the government itself is the perpetrator, Japan is one of the world's most advanced states. Moreover, the latter country is a world leader in earthquake response and peaceful nuclear use. Yet Japanese government machinery was almost at standstill in its initial response to tsunami and its aftermath. Despite having a large naval fleet with significant blue-water capabilities, the country had to be assisted by US Navy for relief activities. US also offered nuclear expertise to Japan as the country is still not-so-successfully trying to bring the nuclear crisis caused by tsunami under control. It seems unlikely that the world's third largest economy with cutting-edge technological capabilities and accumulated experiences in earthquake response and nuclear energy will be so inept overnight. Although that possibility can't be totally excluded provided Japan is in economic recession for a long time now and neoliberal economic reforms have reduced public sector effectiveness of many developed countries. Remember US government's incapacity in responding to Hurricane Katrina in 2005. Then US media even advised Washington to take lesson from Bangladesh in disaster management. In case of Japan, what is also likely is that the proportion and intensity of the tsunami and aftermath was too much for any individual government to handle on its own even when it is competent, experienced and resource-endowed. Whichever of the above two is the actual scenario, the case for global governance of human security is all the more justified. Due to climate change and other ecological factors, natural disasters are more cataclysmic than before and governance constraints are not limited to the global south. Following mass refugee influx in Libya, different countries and international organizations moved in with different response mechanisms. Individual countries launched separate rescue operation for their citizens with varying results. Some emerging powers like China, Turkey and South Korea were more prompt in rescuing their citizens than some Western powers like UK and US. Again, some Western powers like UK and France lend their support to other countries in rescuing their citizens. And Bangladesh's inability to timely rescue its citizens is well known by now. Lack of coordination between the numerous actors didn't let a collective action pull through. There was an emergency session (belated though) of UN Security Council about no-fly zone over Libya. Similar session could be also called to facilitate multilateral international rescue and relief efforts in the country. There could also be such a UNSC session to render collective international support to Japan's tsunami response. It is clearly visible that due to the universal nature of human security threats (from violent conflict to natural disaster) and varying state capacities in dealing with them, global governance arrangements for human security is an urgent calling. Collaboration between some countries and international organizations can be stop-gap solutions but they cannot replace the utility of a global governance regime. The UN member states and other international actors like UN should start working right away to this direction. The writer is a senior researcher of IGS at BRAC University and a faculty of Civil Service College.